Posted in Decals, Vintage Style Race Numbers. 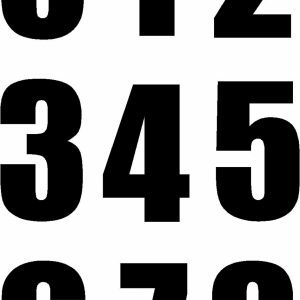 If your number is two digits order 5″ to 6″, three digits should use 4″ to 5″ numbers. 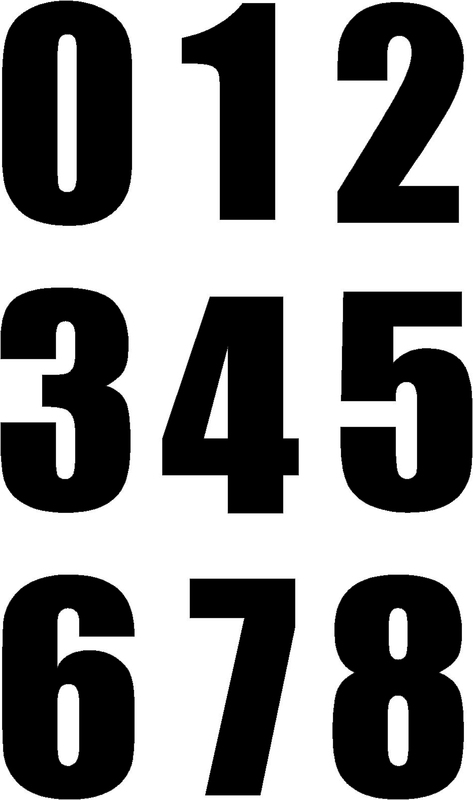 4″ numbers are also good for helmets. They are cut to order each time, so we can make them any size for your specific needs. But, you will need to contact us with detail and questions before you order. You are responsible for final fitment, so measure carefully because returns are not accepted if you measure wrong! If you need two numbers on each plate and you have three plates, order six decals, etc. Other colors and sizes are available by request.